Owning your own home usually means you’ve diligently saved for years so you had a sufficient deposit to obtain a mortgage. Owning your own first home is a big milestone in life and you’ll be more than proud to have a property you can truly call your own. The problem with owning your own home is that you’ll be responsible for fixing any issues, taking care of maintenance and generally making sure the house is kept in good condition. When you were just renting a property, the landlord bared all this responsibility, but now all maintenance responsibilities rest on your shoulders. Making sure our houses remain in good condition means you need to find an electrician you can trust. Electrical maintenance is something that needs to be taken seriously — playing around with anything electrical be extremely dangerous. You should never attempt to carry out your own electrical work, and instead, choose an electrician with proven experience and expertise. There are many aspects of house maintenance we’re required to be responsible for. But things like decorating and remodelling are more for our own joy than being completely necessary for the upkeep of your house. Making sure your electrics are working safely, on the other hand, is completely vital when it comes to house maintenance. Don’t play around with things you don’t know about — Maybe your new home doesn’t feature as many power points as you need, or maybe it needs some electrical repairs that you feel you may be able to fix yourself. Our advice is that you stay well clear and let a professional electrician do the work for you. They will be well-trained and can do the job safely. You don’t want to be using any guess-work when it comes to playing around with electrics. Find an electrician you can trust — Prices can vary, repair times can be slow and some electricians will prove to be unreliable. 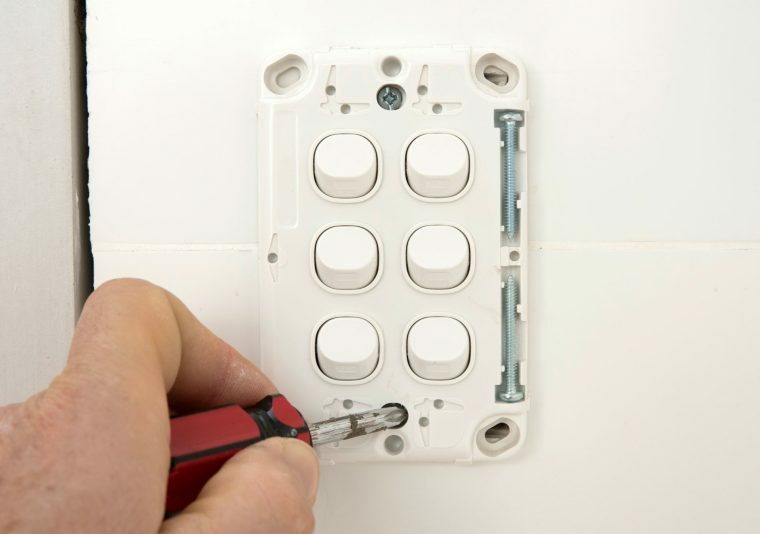 You’re probably going to utilise the services of an electrician relatively often and because of this, it’s best to find one who you can trust to keep returning to your home and doing an excellent job. Experience matters — You should avoid choosing an inexperienced electrical contractor. Being a talented and experienced electrician takes years of on-the-job experience, so you should always value experience over taking a risk with the cheapest quote. Home ownership comes with a lot of new responsibilities, some of which you’ll experience for the first time. But it’s an exciting endeavour, and you’ll grow as a person as a result from owning your very own property. Just make sure that when it comes to your electrical needs you contact Current Electrical Service, which ensures you’re dealing with true professionals.